WASHINGTON — PlanetiQ announced June 24 that it has selected a Colorado company to build its planned constellation of small satellites to provide weather data, with the first satellites to be launched in late 2016. Bethesda, Maryland-based PlanetiQ said Blue Canyon Technologies of Boulder, Colorado, will build a set of 12 satellites, each carrying a Global Positioning System radio occultation payload. The companies did not disclose the value of the contract. The satellites, PlanetiQ President and Chief Executive Anne Hale Miglarese said in an interview, will be six-unit cubesats with on-board propulsion, each weighing less than 20 kilograms. The satellites will operate in orbits of 750 to 800 kilometers at an inclination of 72 degrees. The decrease in size does not affect the quality of the data collected, she said. The company has been separately developing its GPS radio occultation sensor, called Pyxis, that measures signals from GPS and other navigation satellites as those signals pass through the atmosphere. Those measurements provide soundings of the atmosphere that can be fed into weather forecasting models. One tradeoff that PlanetiQ did have to make by moving to the smaller satellite is the elimination of a real-time data relay system in at least the first six satellites. “That was very power hungry, and made us heavy,” she said. Instead, the satellites will use a network of ground stations, which should delay the receipt of data by no more than 90 minutes. Miglarese said PlanetiQ selected Blue Canyon Technologies based on its experience with a number of U.S. government programs. The company is primarily known for providing components for small satellites, but also develops cubesat-class spacecraft. In April, it won a contract to build the Radiometer Assessment using Vertically Aligned Nanotubes (RAVAN) small satellite for the Applied Physics Laboratory of Johns Hopkins University. “We’re excited to have Blue Canyon Technologies as a partner,” Miglarese said. She added that PlanetiQ will co-locate its engineering staff at Blue Canyon’s Colorado facilities during spacecraft development, while maintaining a headquarters office in Maryland. PlanetiQ plans to launch its first two satellites in the fall of 2016, with the remaining ten to launch in the first half of 2017. Those satellites will be launched as secondary payloads, which the company is in the process of negotiating, she said. PlanetiQ is one of several companies and government agencies planning satellite constellations to provide GPS radio occultation data. 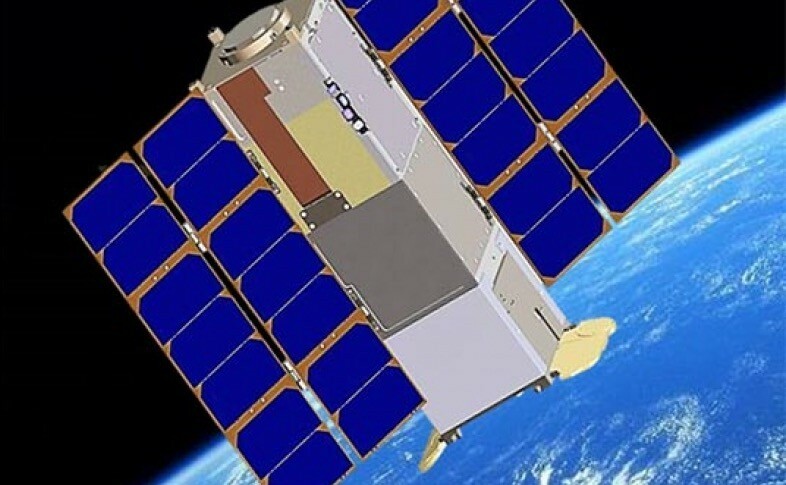 Two other companies, GeoOptics and Spire, are actively developing satellite systems, with Spire planning to launch 20 cubesats by the end of the year for a system that will eventually comprise 125 satellites. The United States and Taiwan are also working on the Constellation Observing System for Meteorology, Ionosphere, and Climate (COSMIC) 2 system of 12 satellites planned for launch in 2016 and 2018. Miglarese said PlanetiQ’s sensor has the same heritage as the one planned for COSMIC-2. However, that sensor will be able to detect signals from all four current or planned global navigation satellite systems — GPS, GLONASS, Galileo and Beidou — allowing it to detect twice the number of occultations per day as COSMIC-2. The PlanetiQ sensors should also have better performance than commercial competitors, she added. The company’s business case is focused in part on selling data to commercial weather forecasting firms. “There are seven to eight companies internationally that do numerical weather prediction” and could make use of GPS radio occultation data to refine their models, she said. Miglarese said the company also plans to sell data to governments, and is closely following the development of commercial weather data policies at agencies like the National Oceanic and Atmospheric Administration. “We look to serve the U.S. government where we can,” she said.